Location: The bridge is located on North Academy Boulevard, where it crosses Cottonwood Creek just south of the intersection with York Road / Brookwood Drive. 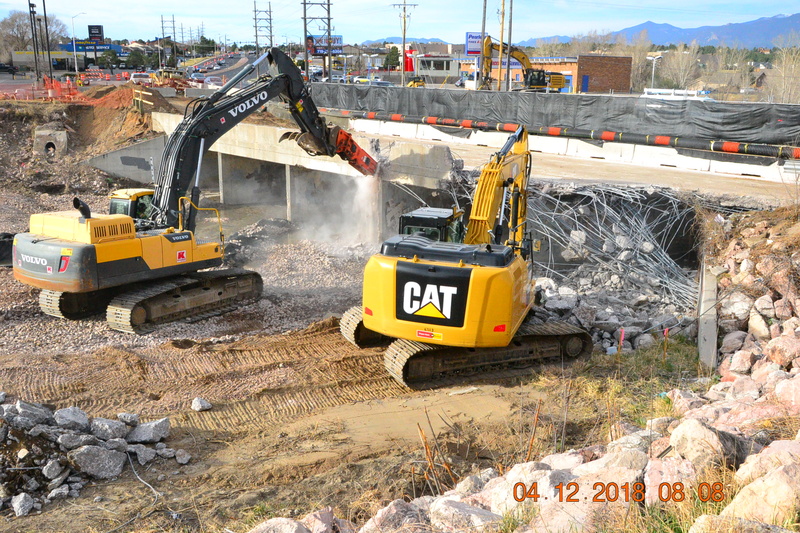 Overview: This important project replaces an aging, substandard bridge, bringing the structure up to modern safety standards, and completes an important connection on the Cottonwood Creek Trail. 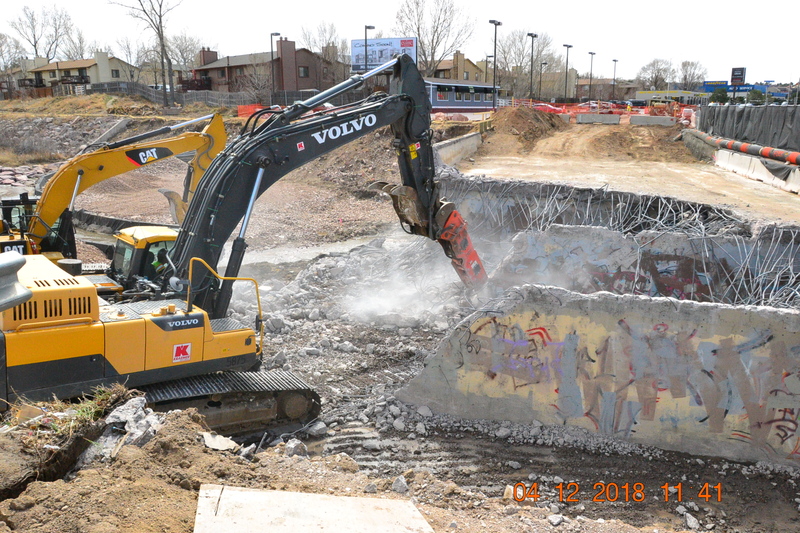 The project team studied multiple options of replacing or rehabilitating the bridge, and where to have the trail cross both Academy Boulevard and the creek. Public input was a critical element of the decision process, including a public meeting in May 2016, where some 80% of respondents favored or accepted the new trail extension under the south side of the bridge. The existing bridge will be replaced in three phases, keeping two lanes of traffic open in each direction at all times. Access to businesses on Academy Boulevard will be maintained at all times. Sidewalk will be added on the northbound side of Academy. The project will extend the Cottonwood Creek Trail westward under the new Academy Boulevard bridge, on the south side of the creek. Approximately 300 feet south of the bridge, the trail will cross Cottonwood Creek via a pedestrian bridge, connecting to the segment of the trail that runs on the north side. New drop structures in Cottonwood Creek will help control erosion and creek flow. Schedule: The project is on track for completion April 30, weather-permitting. Work on the Academy Boulevard bridge over Cottonwood Creek is nearly finished, with final striping of the roadway scheduled for mid-April. Work on the Cottonwood Creek Trail extension will continue through April as crews finish the trail, staining of walls and safety railing. The trail will remain closed until the project is complete. All construction is weather and resource-dependent. Click here to receive emails on project progress and impacts. Budget: $7 million. The project is funded by multiple sources, primarily the PPRTA (Pikes Peak Rural Transportation Authority). The trail portion of the project is funded by Colorado Springs Parks, Recreation and Cultural Services. George Hayward, 719-314-5018; george@amanwhosees.com. Your call or email will be returned within one business day.